Complex Says: Nuts are packed with protein and very tasty. You can eat them roasted and salted, or raw and unsalted. There's a nut to satisfy nut-lovers everywhere. 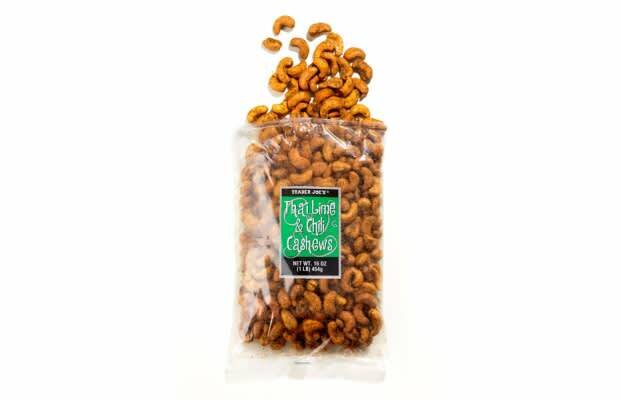 We like Trader Joe's nuts because they offer exceptional quality and value for the money--as well as choice and variety, like the thai chili lime cashews in the photo. Plain nuts are the easiest to eat without making a mess in the car. A protein shaker cup works well for these, too. Just be careful to eat only a few at a time if you're eating them this way, so you don't run the risk of accidentally choking.